I had written about Reunion Island and St Denis earlier- it is a small island off the coast of Africa, near Seychelles and Mauritius. AirAustral had once a week direct flight from Chennai-you can get a round trip ticket for about 27000 INR, which is reasonably cheap. Reunion island is a French territory and Indian nationals are elible for visa waiver for tourist purposes provided a travel agency/hotel in Reunion island applies on behalf of the visitor to get pre-clearance. Also Air Austral is now offering connectivity to Mauritius from Chennai via St Denis. The round trip to Mauritius costs around 33000 at its best, similar to what Air Mauritius charges during low season. Air Mauritius offers a direct flight from Chennai to Mauritius while the return flight is one stop via Bengaluru. 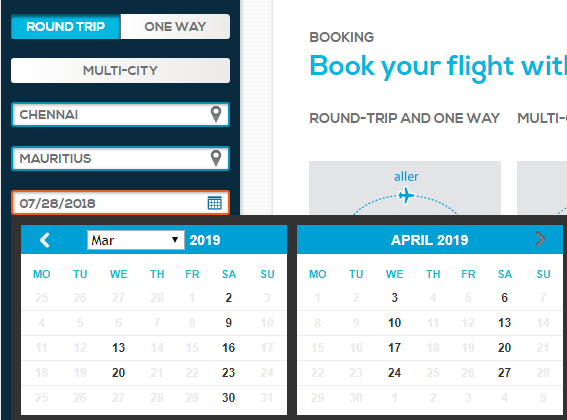 However, Multi city option on the air-austral website wasn't working- would have loved to book Chennai-Mauritius + Maurititus-St Denis + St Denis-Chennai. I will probably plan a trip to St Denis sometime in 2019. Let us see.